NATIONAL Council of Chiefs president, Fortune Charumbira has dropped another bombshell, declaring that traditional leaders would not hesitate to intervene in political issues when national interests were under threat. Addressing delegates during the installation of Taaziva Morgan Gatsi as new Chief Mangwende in Murewa last Thursday, Charumbira said although traditional leaders were not politicians, they could “chip in” if need be to defend their inheritance. “On the issue of politics, we are not politicians, chiefs do not do politics but they keep on talking about us in relation to politics. If you see us getting involved in politics, we do so when we realise that there is a serious threat to the interest of the country, the interest of our own institution. If we realise that there is a threat to the institution or the country, yes we can express our minds and opinion, and of course we can give direction,” he said. Charumbira, a Zanu PF apologist, currently faces a contempt of High Court order compelling him to publicly apologise for declaring traditional leaders’ support for the ruling party. “Let me give you an example, if someone is screaming inside a house, we do not ignore, we open the locked doors and see what is happening inside. That is what we do. We get involved in politics when things turn bad. “Look at history, we have traditional leaders who were beheaded and some of the heads were taken overseas, that is politics. The likes of Mbuya Nehanda, they were defending their own country and heritage,” Charumbira said. The traditional leader also defended government’s move to provide them with all-terrain vehicles, saying there was nothing political in them receiving the vehicles a few months before elections. “Recently, the MDC youths were demonstrating in Bulawayo and they were labelling Thokozani Khupe as a prostitute, as a traditional leader you expect me to keep quiet? Politics should be for the good of the country. I want to emphasize, we are not politicians, but to an extent that they affect our institution, to the extent that national interests will also suffer, we then get involved and give direction,” he said. 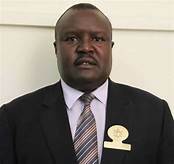 Charumbira said he was hopeful of extending his tenure as traditional leaders’ boss in elections set for July 18, saying the late Chief Jonathan Mangwende had ordained him to cling on. “Chief Jonathan Mangwende passed the baton stick to me. He then nominated me and said Charumbira take over. I was made the president by the people of Mangwende. He told me that he has been in Parliament for 35 years and that he was tired. That is how I took over,” he said.